Stainless Steel Forging - Canada Forgings Inc.
CanForge is a North American supplier of exceptional forged products. As a leading forgings supplier, CanForge is proud to offer forged products in stainless steel, including duplex stainless steel. Stainless steel forgings are composed of a ferrous alloy characterized by a “stainless” quality brought about by its protective oxide layer that helps the material resist corrosion. All stainless steel grades contain at least 10.5% chromium. Depending on the grade selected, stainless steel forgings resist crevice corrosion, stress cracking, pitting, heat deformation, and much more. There are four main types of stainless steel – duplex, austenitic, martensitic, and ferritic. Combining ferrite and austenite, duplex stainless steel forgings tend to contain higher amounts of chromium and lower amounts of nickel. With a high strength, duplex forgings resist chloride stress corrosion, crevice corrosion, and pitting. 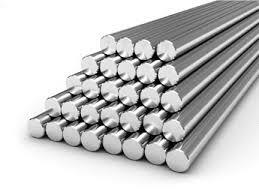 This type of metal accounts for about 70% of stainless steel used today. A typical alloy containing about 18% chromium and 8% nickel, austenitic stainless steel forgings are neither magnetic nor hardenable by heat treatment but exhibit high levels of corrosion and heat resistance. Containing anywhere between 10.5% and 27% chromium, ferritic stainless steel forgings are extremely corrosion resistant. Ferritic stainless steel, however, is not as durable as other types nor is it hardenable by heat treatment. Martensite contains a higher level of carbon compared to other types of stainless steels, which makes it magnetic and less resistant to corrosion and oxidation. Martensitic stainless steel forgings, however, exhibit good ductility as well as high strength and are hardenable by heat treatment. Whether you need stainless steel forged products that resist corrosion and retain high strength or forged products that exhibit ductility and resistance to stress cracking, CanForge is proud to supply the forgings you need. Call us today toll free on +1 800 263 0440 to learn more about our superior forged products, or please visit the Forged Materials page to learn about types of metal forgings.